We all have the ability to ignore spaces that surround the paths to our destinations. As with most passageways, they are a means to an end, yet not an end in themselves. Struck by the loneliness and practicality of such passageways, I conceptualized the first und transit sound installation in Krems, Austria 2009, a series of compositions, in order to create soundscapes for the emptiness of these spaces. Just before the independency of Senegal in 1960, the colonial power of France yielded, at Cap manuel in Dakar, a new courthouse. It is a typical kind of a modernistic, Corbusian approach of that time, where progressive ideas of enlightment and uplift ruled. French architects Daniel Babani (1914 – 2006) and Pierre Roux-Dorlut (1919 – 1995) were the designers of this concrete palace; a complex of courtrooms, office rooms, utility spaces and mezzanines. Recently, long after the courthouse lost its original function, the building serves as a stage for African contemporary art at the Dak’Art biennial. The work ‘Dock / Ancien Palais de Justice’ raises questions within the debate of the western and the non-western art discourse by the appropriation of archetypes, symbols and signs and the inclusion of a multiplicity of perspectives. The installation ‘Dock / Ancien Palais de Justice’ invites the visitor to walk around in a construction, based upon the original floor plan of the old courthouse. This is indicated by microphone stands and running audiotape, which links the resonance of a past to recorded sounds of today. The ideas on habitat and identity, colored in a personal human environment, and how it changes when the situation is transitional, opened up ways to invite a number of sound artists to compose a dedicated soundscape for this project. A listening space is equipped with a surround installation to serve a spatial experience of these contributions, curated by Cedrik Fermont and Paul Devens. A short speech by Mique Eggermont (NL), independend curator and art historian, will open the exhibition. She organized and initiated several contemporary art projects in Senegal, often linked to the contemporary art biennial, Dak’Art. After the speech, Elsa M’bala, Cedrik Fermont and Paul Devens will give a small concert. ‘Dock / Ancien Palais de Justice’ is coordinated and curated by Les Brasseurs (Jérôme Mayer and Corentin Lahaye), Paul Devens and Cedrik Fermont. This exhibition was made possible with the generous support of: Mondriaan Fund and Stichting Stokroos. * Paul Devens (born 1965 in Maastricht, the Netherlands) is a Dutch contemporary artist. He lives and works in Maastricht. His work has also been performed, screened and featured in group exhibitions in Ctrl_Alt_Del (Istanbul, 2003, 2005, 2007); OCA/ISP (Oslo, 2004); Kunsthal Charlottenborg (Copenhagen, 2010); Radio Art Festival (Tallinn, 2011); Diapason Gallery (New York, 2011); D-0 ARK Biennial of Bosnia-Herzegovina (Sarajevo, 2013); Jerusalem show (Jerusalem, 2014); Stimulating Synapse, EMAA (Nicosia, 2015); Galerija Umjetnina (Split, 2015); Hacking Habitat (Utrecht, 2016); bb15 (Linz, 2016), Off program ‘Electromagnetique Mobile’ Dak’art (Dakar 2018); IBB ‘Circumstantial Radio’ (Curacao, 2018) among others. Devens plays in bands like Otomax (2016), Kendo Bahn Orchestra (2011) and Meerschaum (2017), he teaches art at Mafad, Maastricht and sometimes works as a curator. 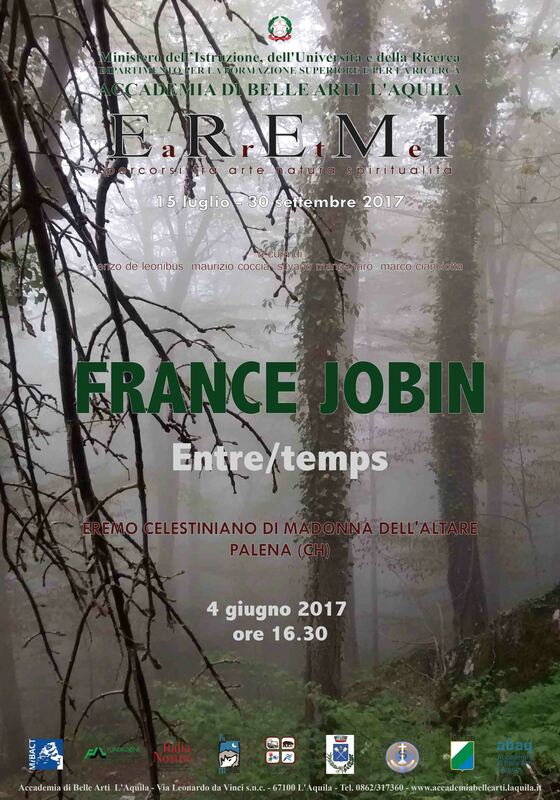 France Jobin will perform the opening concert for the opening of the festival Eremi Arte. Is an in-situ installation resulting from my daily encounters and experiences with the people and landscape of the Abruzzo region. The location, la Madonna dell’altare is a particular setting for this work. Constructed in the 14th century, it is placed on a cliff that makes the building impenetrable from three sides. Yet, there is a fragility here, a beauty in landscape that defies time. 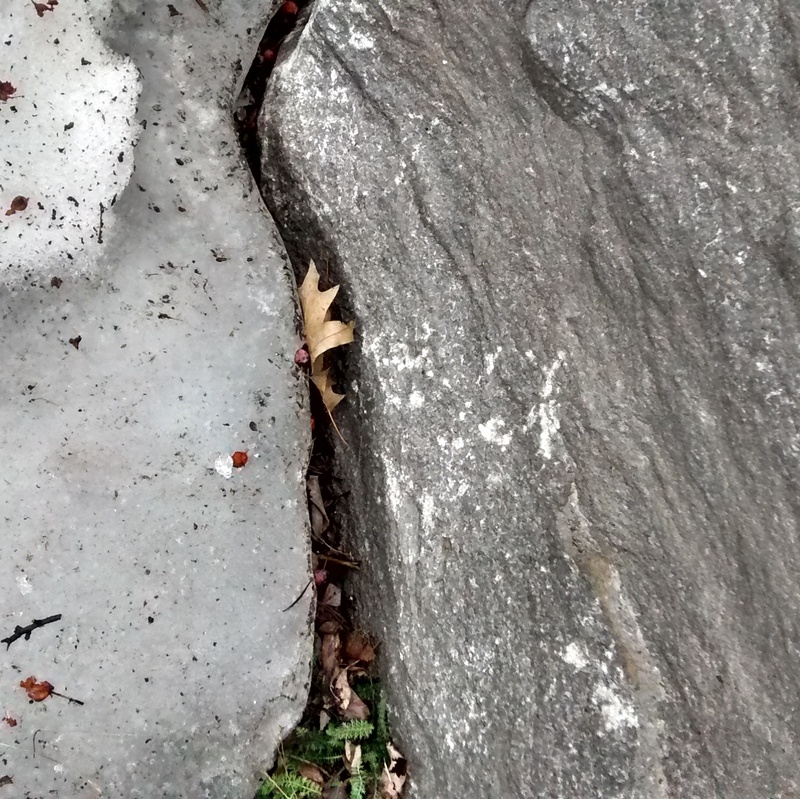 In this spirit, entre/temps proposes a small intermission, a moment of time, within time. ‘entre/temps’ è un’installazione in-situ, risultato delle mie esperienze e incontri quotidiani con la gente e il paesaggio della regione Abruzzo. Il luogo de La Madonna dell’Altare rappresenta una cornice speciale per questo lavoro. Costruita nel 14° secolo, la struttura è situata su una scogliera che la rende impenetrabile da tre lati. Eppure c’è una fragilità qui, una bellezza nel paesaggio che sfida il tempo. In questo spirito, ‘entre/temps’ si configura come una piccola pausa, un attimo di tempo nel tempo. Entre-deux will be presented in the context of Innerscape organized by Vacuamoenia. Innerscape is a week-long project where artists are invited to reflect through their own compositions on a type of exploration in unusual landscapes, trying to make to hear the inaudible. Entre-deux will be presented for the closing of the event May 20th 2017. This residency is made possible by the generous support of the Canada Council for the Arts, Research grant for New Media and Audio Artists. France is the first artist to take part in the new LUX RESIDENCY PROGRAM. 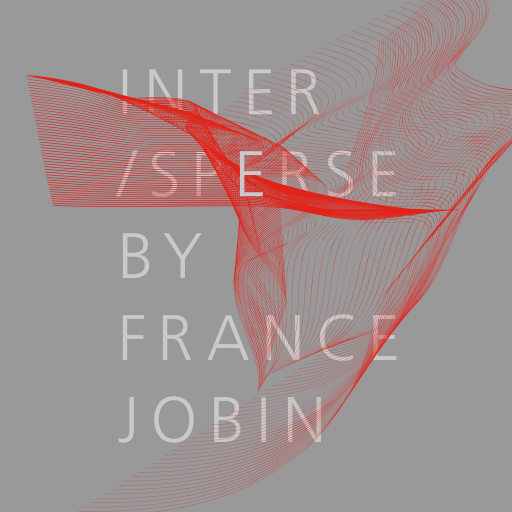 She was invited to create and present Inter/sperse, an in-situ sound installation that will address the territory and surroundings of Museolaboratorio. 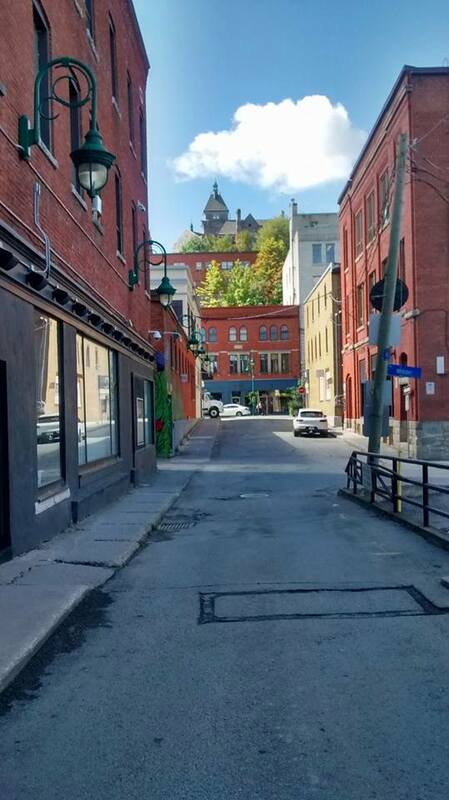 This residency is made possible by the generous support of the Canada Council for the Arts,Travel Grant to Media Artists – International Residencies program. France Jobin will present a four-channel sound installation and live performance on October 28th 2016 for the closing of Haunted Formalism. This event marks the closing of Haunted Formalism, which true to its exploration of ambivalence and in-betweenness itself adopts two interrelated, concurrent forms. An exhibition of new works by Nicole Phungrasamee Fein and Dean Smith establishes the thematic concerns that inform an ongoing program of live, limited-capacity events, creating an open-ended dialogue between disparate practices that evolves through experiences intended for a small audience. Yet these dialogues themselves arise from tensions within the artists’ works. Among the most fundamental takes place between art and science; Smith’s drawings in graphite, we argue, can be interpreted in terms of the relational properties of the carbon atoms that compose his medium, while Fein’s compositions, which evoke supernovae and cell-culture dishes, recall the simultaneous coexistence of two states possible in the quantum realm. 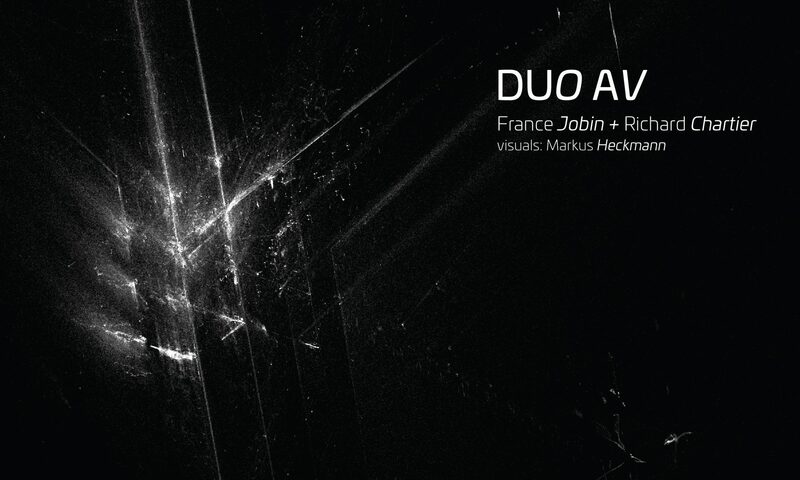 France Jobin makes work that emerges from the proposition of an unlikely parallel between quantum mechanics and composing. Just as Heisenberg discovered that scientific precision encounters a limit past a certain scale, so too does the composer stand in an uncertain relationship to the feelings and emotional states that inform his or her work, necessarily falling short of full knowledge. The conundrum is doubled with respect to the listener, for whom the sounds at hand may well have been processed past the point of recognizability, obscuring yet still indicating their material source. This evening will comprise a four-channel sound installation and a live performance. Tickets are $18, and capacity is limited. We are collecting the sounds of ice and the documents related to them from artists all over the world, as we believe that the ice might solidify with the conditions of the lands and their memories. 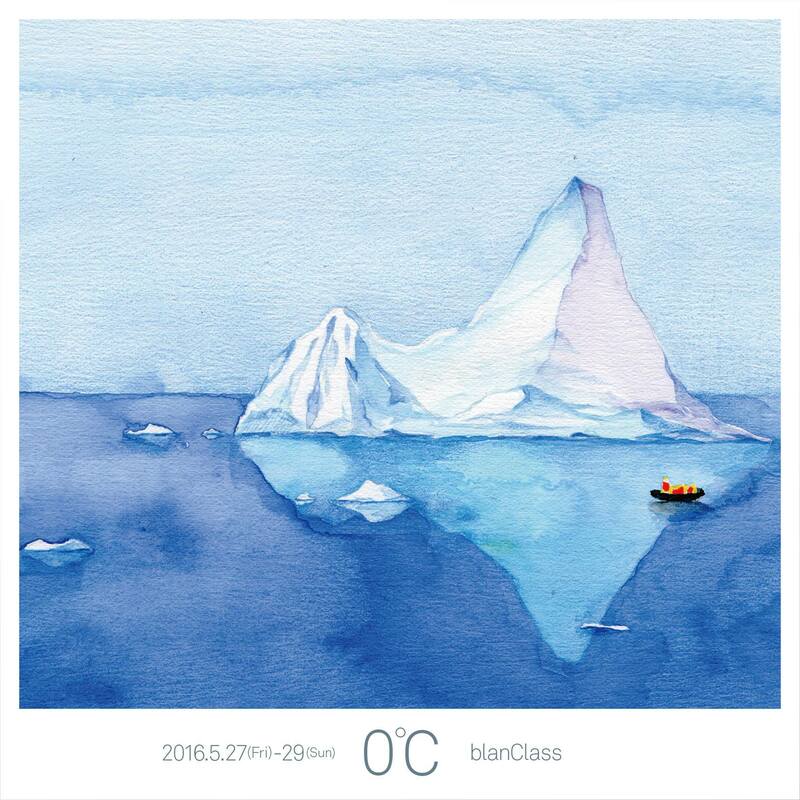 In this exhibition, we create an installation work and do a sound performance based on those collected sounds and documents, and attempt to fill the space of blanClass with the huge memories of the world captive in the ice. We’re currently negotiating many more. The name of the participating artists are updated at all times on this website. P Orbital released on LINE (Valence, LINE_054) will be part of the first multichannel sound art exhibit ESCUCHAS at the Museum of Modern Art in Medellin, Columbia starting, December 2nd 2015. 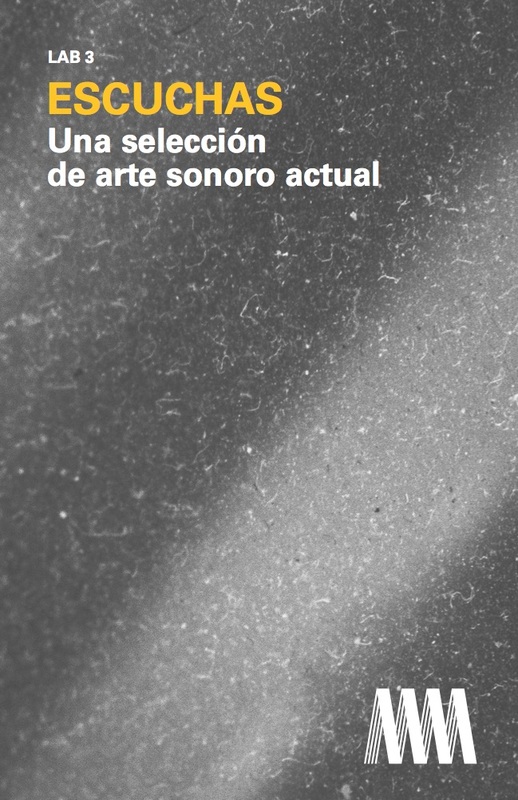 ESCUCHAS (Listenings) is a new sound art exhibition curated by Miguel Isaza. In the contemporary context, sound art arises as a space that welcomes sound and the act of listening to it; also serving as a critical device aimed at the dominant tendency to see, think and touch. In this type of artistic process, sound is the central element and method of aesthetic, sensory, material and conceptual analysis. Elusive to closed definitions, it finds its own niche in practice, especially in the listening act and in artistic manifestations such as sculpture, installation, performance and composition. Sound is a fundamental element of our vital experience, although often ignored in regards to the attention and thoughtfulness we put into it. As an artistic medium, technique, process and focus, sound has been present in the music discourse for millennia, but it is just recently when, hand-in-hand with technological exploration,it finds new directions and vindicates itself as a creation space on its own right. 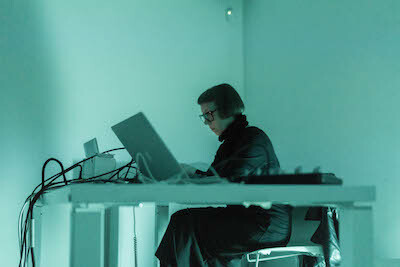 Even if sound art is produced by and incorporated into non-electronic media like sculpture and installation, it is in fact through the processes of environmental sound recording and digital manipulation of sounds, objects and spaces, where the possibilities to work turn to be rich, taking on, often, a path that goes back and forth from the act of listening. To listen is, within this context, silence and stillness. It is paying attention to the shapes that sounds might take, and from there, opening up to new dimensions. The act of listening is silent and invisible; it implies a method of being closer to sound but also an attitude of meditation, imagination and creation of realities that come from the experience of sound itself and its relations, thus playing a role that transcends the audible in order to relate to other aspects of human activity, such as language, perception, time and space, matter, affects, emotion, heritage, culture, politics, economy, and ecology. Escuchas (listenings) is an exhibition on par with the aforementioned plurality of processes and manifestations of sound artistic processes. It is a selection of audio works, twelve in total, created as multi-channel pieces, and specially adapted by each artist for being presented in LAB3, played continuously all day long. The works directly reflect upon the incidence of sound in the aesthetic values of visual arts such as space, form, surface, texture, body, matter, concept, which are directly questioned from sonic aspects such as transience, ubiquity, invisibility, vibration, and listening. The selection of works aims to explore sound as an independent artistic dimension, valid in its own right, hence providing a space for immersion in the act of listening where stillness, silence and meditation are welcome. The LAB3 presents itself as a place that is not experienced in a single visit, but as an intimate space for an ongoing dialogue, where consciousness expands thanks to the outside-inside sounds, where the visitor is incited to enter and reenter over and over again. Every day – from 8 a.m. to 12:30 a.m.
We all have a capacity to ignore the space we must use to get to our destination. Like most passage ways, they are a means to an end, and rarely are treated as an end in itself. Upon being introduced to minoritenplatz, I was immediately struck by the loneliness and practicality of this passage way. Inspired by the solitary and functional aspects of La vitrine sonore’s location, I plan to collect a number of field recordings from in and around its emplacement, in order to create a series of soundscapes based on the sound of emptiness in this space. 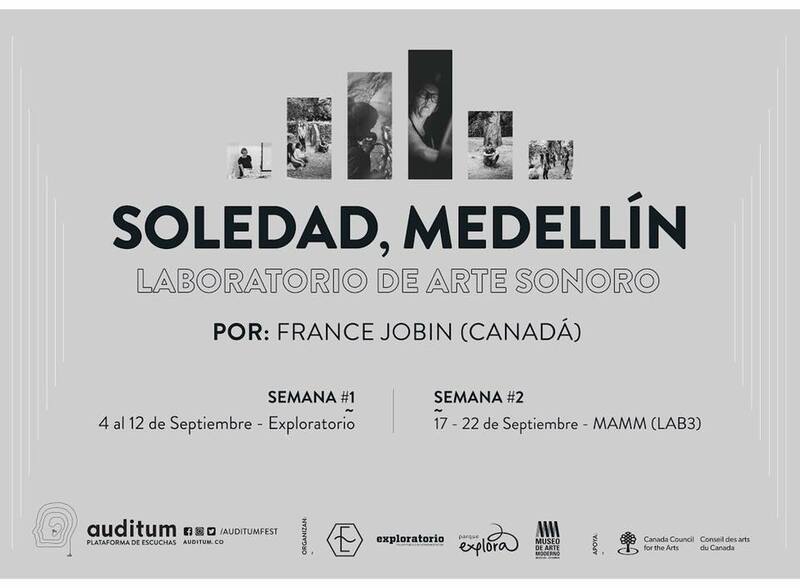 und transit – sound installation will be presented in September 2015 at la Vitrine Sonore of Sporobole in Sherbrooke. The result of a 3 week residency in situ, will transform this passageway into a place to stop, listen and meander. Sporobole launches a new annual program that provides a curator the opportunity to gather sound artists around a curatorial approach and concepts about the Sound Window diffusion device. During a three-week residency, each artist will have unlimited access to the sound laboratory and will develop a project which will be broadcast and discussed during a round table that will conclude the year’s program. The Sound Window is a permanent system for sound projection on the façade of Sporobole, along the sidewalk on Albert Street. Made up of sixteen loudspeakers, it makes it possible to enter into direct contact with passers-by making their way to the above-ground parking garage next door to Sporoble on city’s main street, Wellington. The linear arrangement of the sixteen speakers and their position at the geometrical interface between Sporobole and the thoroughfare make this new outdoor sound gallery a singular platform for sound spatialisation and the projection of works of sound art.